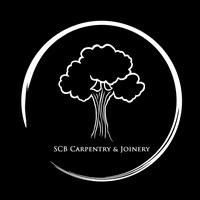 SCB Carpentry & Joinery - Carpenter based in Hersden, Kent. Welcome to "SCB Carpentry and Joinery". SCB is a fully Qualified company with up to 20 years of experience both on site and in the workshop. We deal with all aspects of Carpentry and Joinery including first fix to second fix and bespoke furniture. SCB prides itself in attention to detail and quality of work whilst providing support and professional advice. As a sole trader we work with the customer to complete work to an excellent standard with the customers input throughout the project. We can design, plan and carry out the work to an excellent standard with efficiency and professionalism. We are there to help, anytime throughout the project from start to finish.